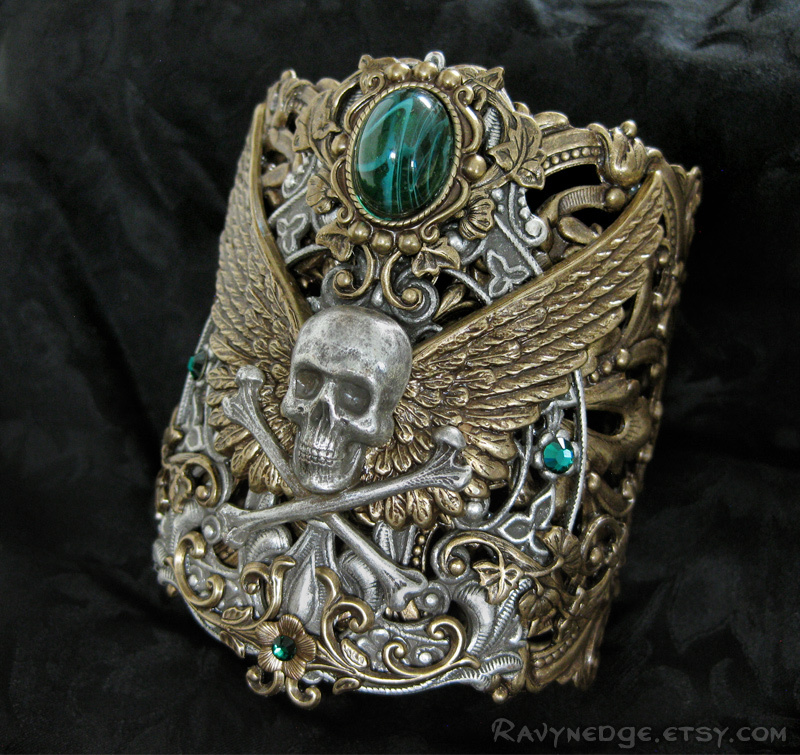 Forbidden Treasure Bracelet Variations - Mixed Metal Pirate Cuff Bracelet by RavynEdge. 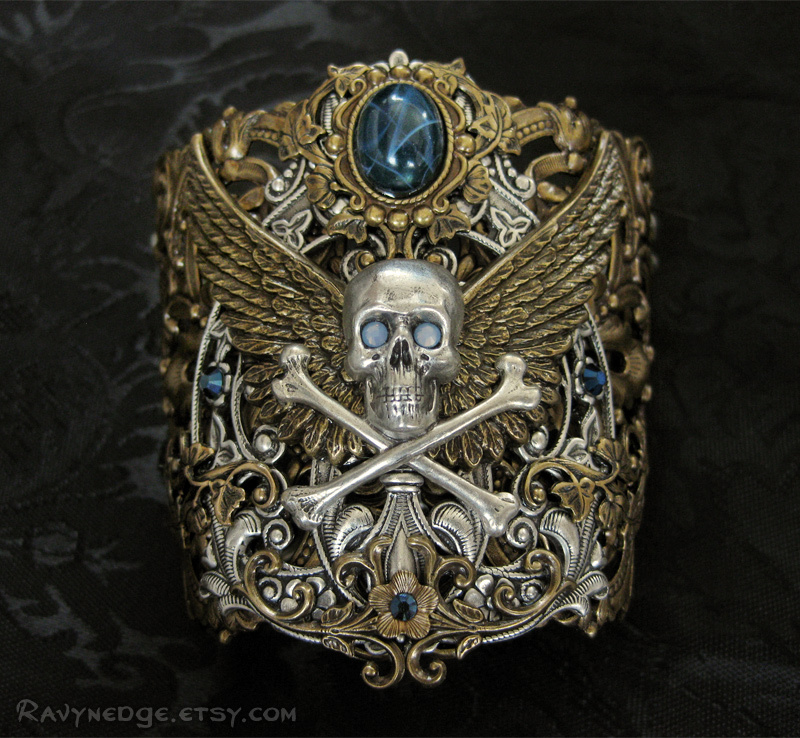 A large and intricate piece of brass filigree forms the cuff base of this unique bracelet. 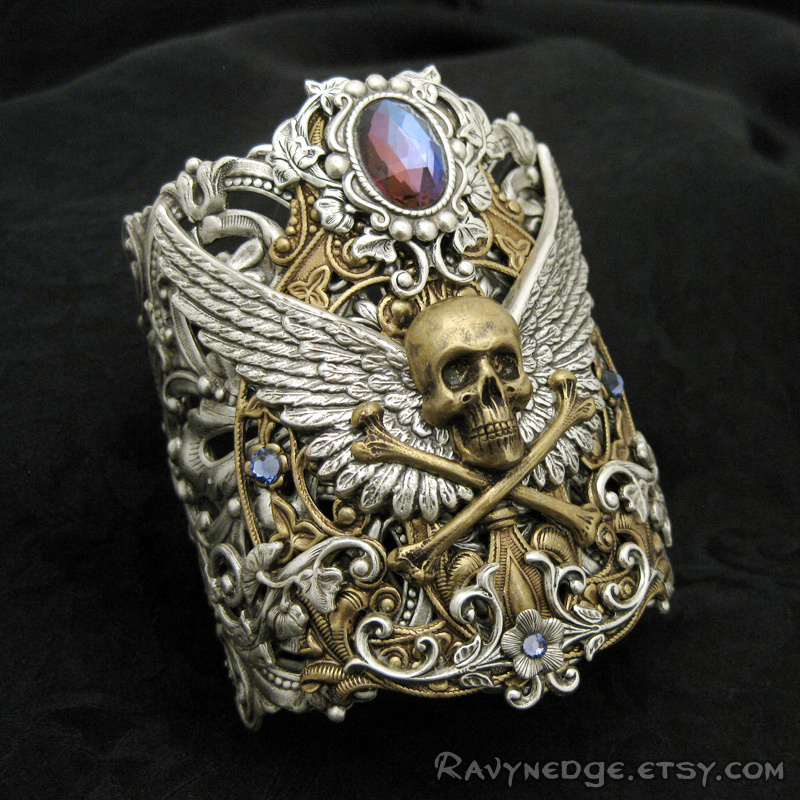 Over the filigree, I layered a mixture of brass and sterling silver plated brass elements which include floral elements, a skull and crossbones, and a pair of wings. For some color and sparkle, I added Swarovski crystal flat backs to compliment the cabochon jewel. The chain is a decorative combination of etched brass links with hammered sterling silver plated steel links. The vintage style fold over clasps are for easy one-handed closure and can fasten to any large link on the wrist chains. 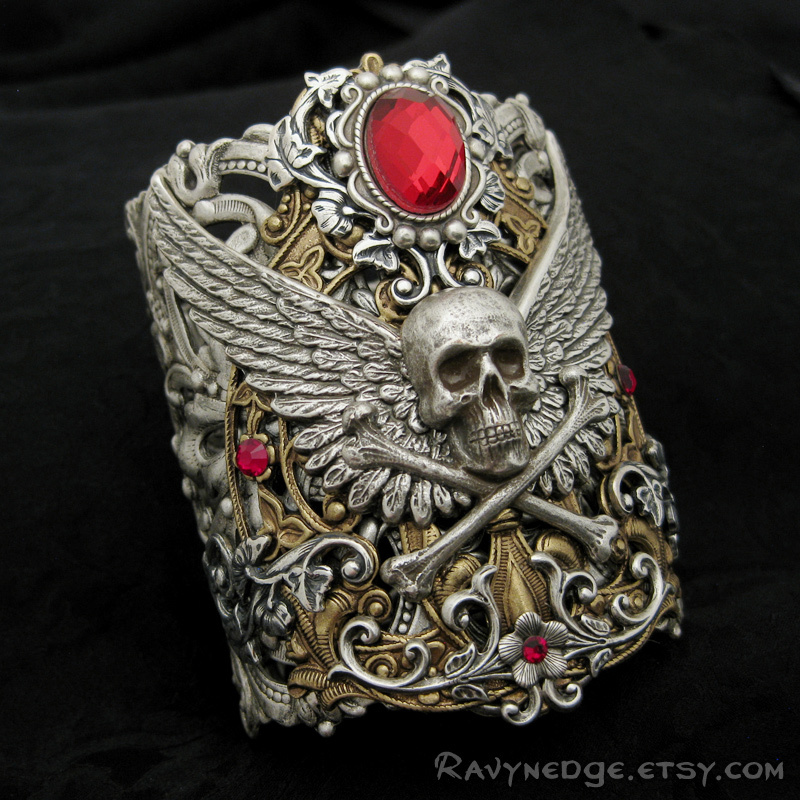 The cuff is a wide 2.875 inches (7.3cm) and the chains allow adjustment to fit wrists that are 6 inches (15.24cm) to 8.5 inches (22cm). 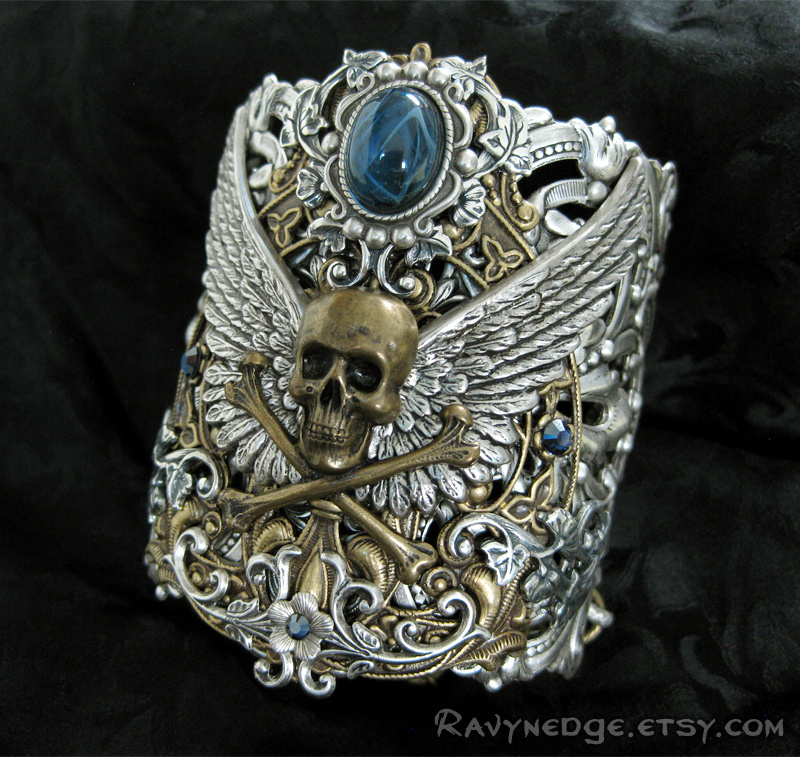 The metal cuff is formed for the smallest size since it is easier to manipulate the filigree larger than smaller if you choose to make your own adjustments.